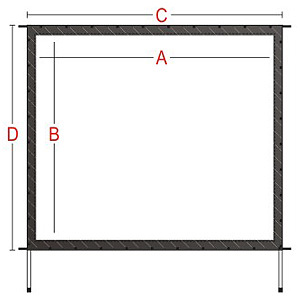 Folding Screens is the necessary product in this era of high efficiency. Its aluminum alloy stand is easy to store and assemble in a short time. All the relevant parts can be stored inside the luxurious box with the screen. This screen is indeed a good companion for people who are in such activities as commercial briefing and outdoor lecturing or audiovisual stage. 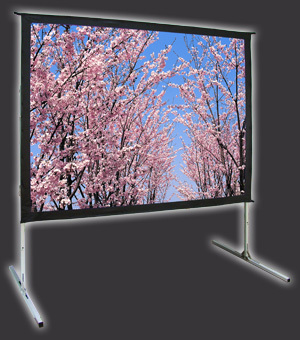 The screen can be packed inside a luxurious box fitted with 2 wheels and is easy for carrying to every exhibition, lyceum, stage, and various meeting places outdoors and indoors to use. No need to use any tools to assemble and dismantle. Fabric’s projection height can be adjusted to go up or down in 6” (15cm) per unit. The screen has a button type rim easy for changing the screen either front or rear projecting as needed. Material of acrylic acid is flame-retarded and resistant to mildew. The active screen can return to flatness quickly after folding.